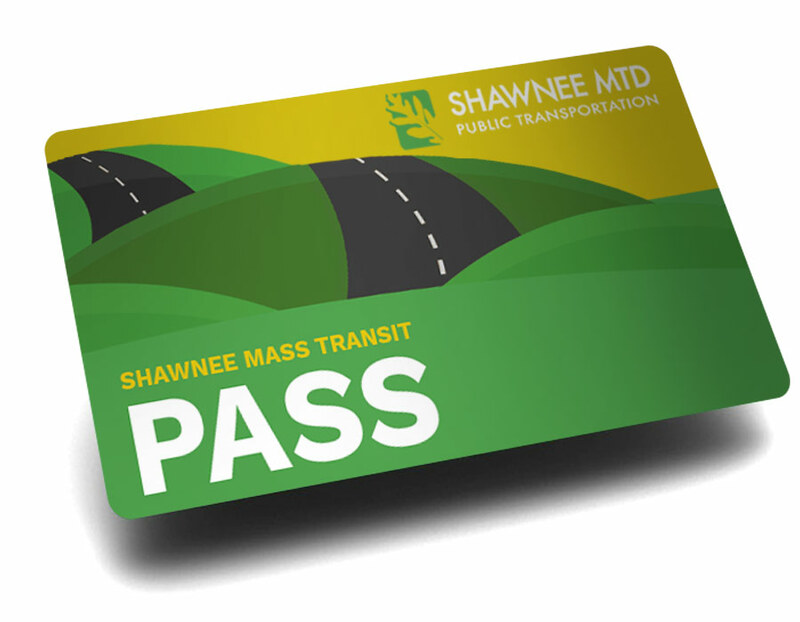 Shawnee MTD (SMTD) will try and make reasonable accommodations for disabled riders. This information will be made available in accessible formats as necessary to enable users to understand SMTD’s services and policies. Applicable policies will be reviewed by reservation agents when reservations are made. As stated in SMTD’s personnel policies, the District is an Equal Opportunity Employer and fully complies with ADA in its recruitment, hiring and continued employment practices. All SMTD facilities and vehicles shall meet or exceed the requirements of 49 CFR Parts 27, 37 and 38 and the laws of the State of Illinois. Accessibility features on vehicles, including lifts, ramps, signage, wheelchair securement devices and public address systems, will be maintained in operative condition. The SMTD maintenance program provides for regular and frequent maintenance checks of these features as well as preventive maintenance as recommended by the equipment manufacturers. Drivers are required to report damaged or inoperative accessibility features as soon as possible. Vehicles with inoperative accessibility features will be taken out of service and replaced promptly with a spare vehicle. The inoperative equipment will be repaired before the vehicle returns to service. All drivers and District employees are trained in the use of accessibility equipment, the operating policies related to each of the service requirements described, and in properly assisting and treating individuals with disabilities with sensitivity. Mechanics receive additional training in the proper maintenance of accessibility equipment. SMTD is a “shared-ride” service. This means that other riders with different destinations may be picked up and dropped off along the way. Your trip on public transit may take longer than if you took a taxi or drove yourself. Riders are not entitled to service outside of SMTD’s defined service area, jurisdictional boundaries, or the District’s regular hours of service. 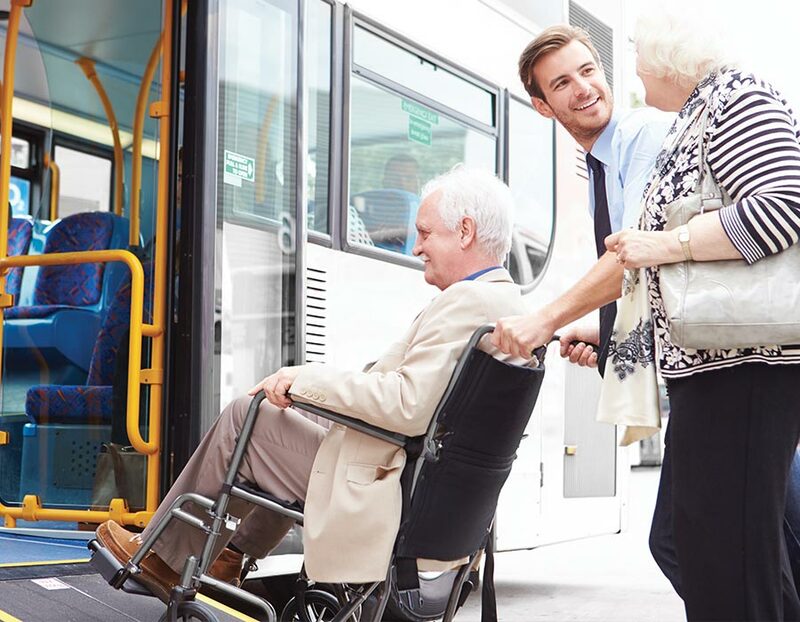 Drivers and scheduling practices will provide adequate time for a passenger with a disability to board and/or disembark the vehicle, which includes adjusting the schedule if necessary to accommodate slower passengers and waiting for passengers to be seated before moving the vehicle. It is the responsibility of the driver to determine the safest location for passenger boarding/disembarking based on environmental conditions and the rider’s individual needs upon arrival at the location. SMTD will not refuse to permit a passenger who uses a lift or ramp to disembark from a vehicle at any designated stop unless the lift or ramp cannot be deployed, the lift or ramp will be damaged if it is deployed, or temporary conditions preclude the safe use of the stop by all passengers. Only a properly trained SMTD employee can operate the lift or ramp and/or secure a wheelchair on the lift and in the securement station. A person with a disability who is not using a wheelchair or other seated mobility aid may use the lift to board or alight the vehicle upon request. With the exception of the wheelchair securement stations, SMTD does not require any passenger to sit in designated seating. However, this does not supersede the District’s right to require any passenger who has caused a disruption in the safe travel of other passengers and/or the driver to be required to sit in a specific area of the vehicle as a condition of transportation. In cases where a person with a disability requests use of priority seating that is currently occupied by another passenger, the driver will ask that passenger to allow the person with a disability to use the seat. For safety reasons, riders may not transport more bags/packages than they can manage themselves (or with the assistance of a Personal Care Assistant). Drivers are only allowed to load a maximum of four (4) bags onto the vehicle, and are not required to carry packages to and from the vehicle. SMTD encourages riders to use a safe and efficient means of transporting bags/packages such as a portable folding two-wheeled shopping cart. In door‐to‐door service, the driver offers assistance from the rider’s door to the vehicle, and comparable assistance at the destination (e.g., pushing a wheelchair). In curb‐to‐curb service, assistance is not provided until the rider reaches the curb. In either case, the driver is required to assist riders to enter and exit the vehicle upon request (e.g., leaving their seat to assist a passenger with using the vehicle ramp, lift and/or securement systems). The Americans with Disabilities Act (ADA) classifies paratransit service as “origin to destination” service, i.e., the service available to each passenger actually gets the passenger from his or her point of origin to his or her destination point. The determination on whether curb-to-curb or door-to-door service should be used depends on the level of service necessary to ensure that eligible passengers actually get from his or her point of origin to his or her destination point. For instance, the nature of a particular individual’s disability or adverse weather conditions may prevent him or her from negotiating the distance from the door of his or her home to the curb. A physical barrier (e.g., sidewalk construction) may prevent a passenger from traveling between the curb and the door of his or her destination point. In these and similar situations, to ensure that service is actually provided “from the user’s point of origin to his or her destination point,” the vehicle operator may need to offer assistance beyond the curb. The ADA requirement of “origin to destination” service does not impart an obligation on SMTD employees to engage in conduct that may risk bodily harm to themselves or the rider. Drivers and other SMTD employees should avoid potentially harmful activities (e.g. negotiating stairs with a wheelchair, lifting riders, etc.) and request immediate assistance/guidance from SMTD administration if confronted with such a scenario. SMTD acknowledges that many caregivers will assume the responsibility of reading and understanding this information as well as making reservations and other arrangements for their clients. However, if the rider will be transported without an attendant, it is very important that he or she be able to understand and follow basic passenger responsibilities. Some riders are mentally or cognitively impaired or have severe memory problems such that they cannot be safely left on their own at either their origin or destination point. It is the responsibility of the client’s caregivers or family to clearly identify these riders to SMTD so that the District can inform the driver and take appropriate precautions. The driver cannot act as an attendant for mentally or cognitively impaired riders. Cognitively impaired riders will be allowed to travel without an attendant only so long as they exhibit safe behavior in the vehicle. An attendant or caregiver must be present at the pick-up point and the drop-off point for riders who cannot be left alone. Failure of a responsible attendant or caregiver to be present when the driver attempts to pick up these riders can seriously disrupt the driver’s schedule. If SMTD encounters absences of an attendant or caregiver, service to the rider may be suspended and the matter may be reported to an appropriate state, county or local agency. Transportation services are provided without fare to Personal Care Attendants traveling with an eligible rider, so long as the PCA’s origin and destination are the same as the eligible rider. One PCA is authorized without fare; additional travelers are considered companions and must pay the appropriate fare. Space must be reserved for a PCA and/or companion when the trip is scheduled. SMTD personnel cannot assume the duties of a PCA or provide personalized care during transportation. Under some circumstances SMTD Administration may strongly recommend a PCA for clients with loss of sensory and motor functions to such an extent that they require assistance with personal care needs, behavior and/or general safety. In compliance with 49 CFR Part 37, SMTD allows trained service animals to accompany passengers with disabilities. Operators may ask any passenger if their animal is a service animal and/or if the animal assists them with their disability, but may not require certification or identification for service animals. Passengers using service animals must keep their animals under control, and the animal must not pose a threat to other passengers. Failure to do so may result in the passenger being requested to exit the vehicle. All vehicles that are utilized to transport wheelchairs must be equipped with a four-point wheelchair securement system. Securement of mobility devices is the responsibility of the driver and drivers will be trained in the proper operation of all securement equipment based on manufacturer specifications. Drivers should not allow a passenger to ride if they are not secured properly unless the securement system will not accommodate the mobility device. If the tie-down system is not compatible for the mobility device the passenger is using, the driver will still make an attempt to safely secure the mobility device. If the mobility device cannot be secured because of its design, the passenger still has the right to ride the vehicle. Drivers cannot deny a passenger a ride based on the inability to secure their mobility device. However, drivers must warn the passengers of the danger of riding in a non-secured mobility device. Passengers who refuse to allow their mobility device to be secured may be denied service. Drivers must secure wheelchairs in the designated securement area only, even if the passenger wants their mobility device to be secured in a non-designated area. Seat belts and shoulder harnesses are recommended but not required for passengers riding in their secured wheelchair. Mobility devices that are not wheelchairs will be accommodated to the extent that the ADA-compliant lift and securement areas can safely do so. However, these devices are the responsibility of the individual passenger, and must be secured in a manner that does not interfere with the safe operation of the vehicles and the transport of other passengers. All passengers using seated mobility devices have an option of transferring to fixed seating once on board the vehicles. Drivers may recommend, but never require, users of seated mobility devices to transfer to fixed seating. Riders unable to use the steps to enter the vehicle may use the lift standing to board the vehicle. Ambulatory clients who use the wheelchair lift must be able to stand without assistance to hold onto the handrails. Individuals are allowed to travel with respirators, portable oxygen and other life-support equipment, provided such transport does not violate laws or rules related to the transportation of hazardous materials. Riders using such equipment are strongly advised to travel with a PCA and may not be allowed to carry additional oxygen tanks if transported in an unsafe manner. Riders requiring medication or oxygen at regular intervals should be advised that travel time on SMTD vehicles may exceed sixty (60) minutes. Note: SMTD Personnel are not responsible for the administration of medications. Any rider requiring assistance in the administration of medication or oxygen while on the vehicle will be strongly encouraged to travel with a PCA. Should the administration of medication or oxygen become necessary while on the vehicle, SMTD personnel will contact emergency medical services (911) to administer the required aide at the rider’s expense. Repeated incidents in which the administration of medication or oxygen becomes necessary during transit may result in the evaluation of the individual’s suitability to use SMTD services. Wounds must be properly dressed and leakage/discharge must be controlled to prevent the threat of transmission of biohazards to SMTD personnel and other riders and to prevent infection of the wound. SMTD personnel may ask riders if leakage/discharge or dressings are properly controlled/applied. In some cases, riders may be required to exit the vehicle to address biohazard concerns. Note: SMTD Personnel are not responsible for dressing wounds and controlling bodily fluid leakage/discharge. Any rider requiring assistance in properly dressing wounds and controlling bodily fluid leakage/discharge while on the vehicle will be strongly encouraged to travel with a PCA. Should dressing wounds and controlling bodily fluid leakage/discharge become necessary while on the vehicle, SMTD personnel will contact emergency medical services (911) to administer the required aide at the rider’s expense. Repeated incidents related to improperly dressed wounds and uncontrolled bodily fluid leakage/discharge may result in the evaluation of the individual’s suitability to use SMTD services. Service to or from inaccessible origins or destinations will be provided at the nearest curb or location where safe access exists. In this instance, a personal care attendant is strongly advised if additional assistance is needed. To ensure safe, timely service, riders must specifically designate a location and inform SMTD where they will be awaiting pick-up. Dispatchers or Customer Care Representatives will route and schedule each trip request at the time the reservation is made. Ride Confirmation and pick-up times will be given to the rider. Under circumstances where the rider’s reservation request cannot be accommodated, alternative times and/or days may be negotiated, or the trip may be denied. Riders should expect the transit vehicle within thirty (30) minutes of the negotiated pick-up time (15 minutes before and 15 minutes after the scheduled pick-up time) and must board the vehicle within five (5) minutes of arrival. A delay in boarding by the rider of more than 5 minutes may result in service denial/no-show. Riders are responsible for arranging for the SMTD vehicle to gain access to gated communities or secured complexes. A driver cannot be delayed trying to locate personnel to provide access to a complex. Phone calls to SMTD requesting an estimated time of arrival (ETA) should be limited to when the vehicle is more than 15 minutes late. Subscription service is offered to SMTD riders who have travel patterns to and from the same destinations, during the same days and hours, at least one day per week. Individuals who have schedules that change frequently are not eligible for subscription service. Subscription service is offered Monday through Friday and is restricted to work, volunteer, medical and educational trips. Once a subscription schedule is approved and confirmed by SMTD, the rider does not have to make any further reservation calls except to cancel any trip they do not plan to take. SMTD cannot guarantee that same day reservations or changes to a rider’s subscription schedule can be accommodated. Subscription service is not required under the ADA; therefore certain restrictions may apply due to scheduling and capacity constraints. Changes to reservations will be accepted not later than 5:00 p.m. one business day before the ride date. SMTD cannot guarantee that changes on the ride date can be accommodated. Riders must refrain from asking the driver to make trip changes. Drivers are not authorized to make changes to the trips they are assigned. At the time the reservation is made, riders may be notified if excessive demand exists for their particular requested trip time, and an alternative may be negotiated. Riders must cancel unwanted trips during regular business hours the day prior to the trip date. A documented pattern of untimely cancellation notice, “no shows,” or lateness for reasons within the rider’s control may result in fees or service denial on a long term basis. Service will immediately be denied on a long-term basis to riders who engage in violent, seriously disruptive or illegal behavior. Such behavior includes, but is not limited to: physical or verbal abuse; unlawful harassment, including unwelcome verbal, nonverbal or physical behavior having sexual or racial connotations; voluntarily and repeatedly violating bus rules; defacing equipment; or refusing to comply with other requirements specified in this Policy. Note: The use of illegal drugs or alcoholic beverages during transit or riding under the influence of drugs or alcohol is prohibited at all times. Suspension of Service: Riders who repeatedly engage in the misuse of SMTD services will be suspended. Examples of misuse include, but are not limited to, failing to show up for scheduled rides (“no-shows”), failing to board the bus upon arrival (lateness), and providing late notice for trip cancellations. Such conduct results in the unnecessary expenditure of SMTD resources which could have otherwise been used to provide services to other riders. A sudden or personal emergency, sudden or worsening illness, inability to reach SMTD personnel, or a late driver are circumstances beyond the riders control and will not be considered misuse. A suspension will be imposed for a documented pattern of misuse within any thirty (30) day period. Riders will be provided an opportunity to explain the reason for each occurrence in a call or other correspondence initiated by SMTD. After the third unexcused incident SMTD will issue a written warning notice that the next violation will result in a denial of service. Prior to any suspension, a written warning of the proposed suspension period and the reason(s) for the suspension will be provided to the rider. Riders who appeal the proposed suspension may continue to ride pending a decision on appeal (see policy on appeals). • Explanation of incident, suggestion or comment. Complaints received by SMTD will be processed and forwarded to the appropriate authorities for investigation. If the appropriate information was provided, the investigation will be completed within seven (7) working days (excluding Saturdays, Sundays or holidays) and the rider will be contacted by telephone and/or letter advising them of the finding of the complaint. If the investigation cannot be completed within seven (7) working days, the rider will be notified of the delay and advised when to expect a resolution. Note: All complaints of discrimination on the basis of disability will be promptly and objectively investigated and forwarded to the Executive Director. Corrective or disciplinary action will be taken for behavior prohibited by this policy, up to and including termination of employment. Modification of Policy: If a rider requires modification of any of these policies to accommodate their disability, they may request such a modification by contacting the Executive Director. The District will work with the individual in good faith to find an accommodation solution. Riding with us is easy. To schedule a ride, simply contact dispatch at 866-577-6278. A dispatcher is standing by to talk with you and discuss your transportation needs. Requests for transportation should be made 24-48 hours in advance. TELL US WHERE YOU NEED TO GO. Let the dispatcher know who, when, where you are and where you’d like to go. Be prepared to let them know how many people will be riding and if you need a return trip. You’ve done all you need to do! Relax, wait patiently and let us take care of the scheduling. Be ready 15 minutes prior to your scheduled pickup time. Please remember that 2 hour advance notice is required for residential pickup and same day service is not guaranteed. Enjoy the ride! Our clean fleet of vehicles are well maintained on site via an experienced crew of mechanics and state of the art facility. You can count on us when you need us the most! 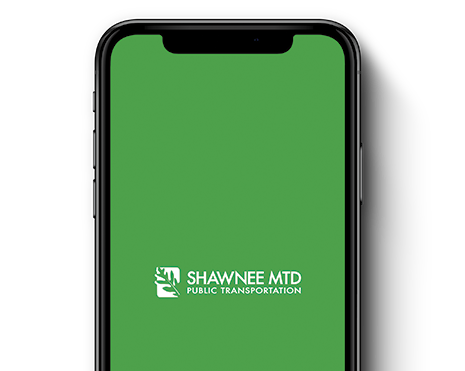 Shawnee MTD is a nonprofit public transportation provider serving the five southernmost counties in Illinois. Our mission is to provide safe, affordable & effective transportation to all the citizens of our five-county district.